The more or less same driveline as found in the unfairly maligned Commodore. A V6, petrol fed, of a 3.6L capacity. That drives the front wheels via a truly superb nine speed automatic. Consumption is rated as 8.9L per 100 kilometres on a combined cycle. We finished on 11.2L/100km on a mainly urban cycle. Peak power is 231 kilowatts, with peak twist of 367Nm coming in at 5000rpm. Make a note of those figures. It’s a keyless start, as expected. The engine itself is almost noiseless from inside, both on idle and underway in normal driving. Like all engines, push it and you’ll hear it. Even then it’s not the most aurally engaging engine going. 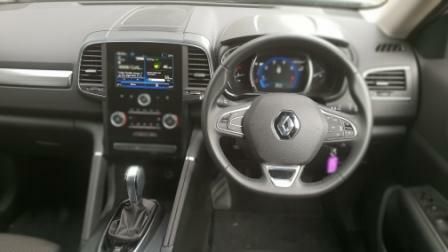 Being the AWD version means a selector dial is fitted in the rather staid looking centre console. Choices are Snow, Towing, and the ubiquitous Sport. Sport was trialled and discarded as being needed rarely. A potentially handy item is Remote Start. Lock the car using the key fob, hold the tab that has a circle with an arrow cursor icon, and the Acadia starts up. Great if it’s been hot or cold and the aircon has been set appropriately prior to starting. Boredom. Plenty of average looking plastic, a squeaky centre console near the driver’s right knee, unappealing faux wood inlays, and seven seats. All windows are powered but, disappointingly for a top tier vehicle, only the driver’s window is one touch up/down. Where the driver and passenger knees rest in the console are the switches for heating and, blessedly, venting for the leather seats up front. Centre row passengers get a pair of USB ports, the front seats a wireless charge pad for compatible smart phones and a USB port plus 12V socket. Cold? Use the steering wheel’s heating function. Rear seat access is via a powered tailgate with selectable opening positions or via the tiltafold centre row seats. The centre row have a one touch lever to move the seats forward and folding at the same time. Cargo is 292L with the third row in place, and that goes to a much more user friendly 1042L when they’re folded. Lay the centre row down and that virtually doubles to 2102L. 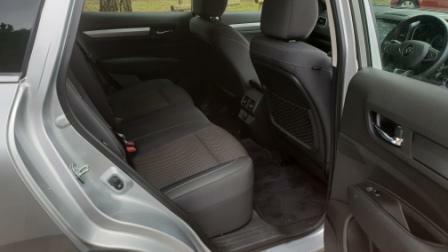 Although the rear seats are the much easier to deal with pull strap style, where a strap gets pulled and the seat easily swings up or easily pushed down, there doesn’t appear to be as much room laterally as Holden’s own Trailblazer. 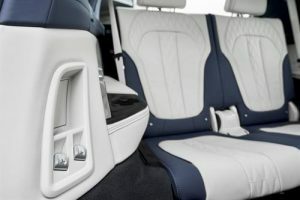 All seats in the review vehicle were a simple mix of black leather and white stitching. The touchscreen is simple to read however the digital audio broadcast tuner had hiccups. Sometimes on start it would instantly show stations, on others it would would be as if it were in a permanent loop scanning. It does come with the Apple CarPlay and Android Auto pairing. Speakers are from Bose and they sounded as if the DAB signal was a compressed FM sound. Some DAB units offer a separate FM tuner to a DAB tuner, others combine the two. Even with sound adjustment the system simply couldn’t get the same depth as similar systems in other brands. A HUD wasn’t offered, but GM’s vibrating seat and strip of red lights for collision warnings were fitted as standard. Other standard equipment as fitted is a reverse camera, satnav, and a pair of sunroofs. One would have been fine, with either a roof mounted screen or seat back screens more appropriate for a top tier vehicle. On the upside is a rear seat reminder and a traffic sign recognition system for the satnav. A weird mix. Off the line, from a standing start, the front driver rubber will easily chirp with no more than a gentle push of the go pedal. But thanks to its bulk, that’s about as exciting as it gets. That peak torque needs a lot of spin to really be effective in pulling the front wheel drive machine around, and as good as the gearbox is in utilising the torque, there simply needs to be either more of it, or have it come in lower. There is actually an easy fix for that, though, and it’s a one word answer. DIESEL. Yup, there is no oiler in the range and that’s thanks to the country of origin. Underway it’s super quiet, refined, and smooth in its operation. Go for an overtake and again that dearth of torque become apparent. The same applies for anything remotely uphill, and soon the cogs are nine, eight, seven….. Although Holden’s own engineers have worked on the suspension tunes of the Acadia range, with “FlexRide” dampers on the LTZ-V, it’s more an American floaty, wafty, spongy ride, even with the big rubber. On the up side, it never bottomed out in the suspension travel, but the plastic strip on the chin did scrape too often on mediocre intrusions. Rebound is well controlled, it’s simply a matter of feeling the springs are too soft up and down. Handling is, well, like the interior. It’s ok. Response is not slow, and it’s not sports car rapid either. The latter isn’t surprising, of course, but the front end could do with a quicker how d’ye do when the tiller is twirled. Body roll is experienced but is also not as bad as expected. Another weak spot is the way the brakes respond. Or, correctly, don’t respond. There’s dead air for the first inch or so, it seems, then a not spongy but not hard travel and retardation is simply too slow for a vehicle that weights around the two tonne plus mark. Autonomous Emergency Braking, bundled with pedestrian and cyclist detection, starts the list. The LTZ-V has a higher sensitivity when kit ncomes to reading the road ahead that the LT and LTZ. Blind Spot Alert is standard, Rear Cross Traffic Alert is standard, and Lane Keep Assist and Lane Departure Warning are also standard. 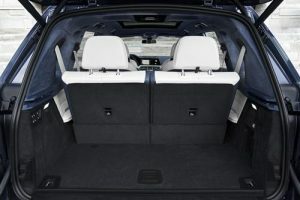 A driver’s kneebag, along with front, side, and curtain airbags complement the five standard and two ISOFIX seat mounts. Pack in 360 degree camera views, semi assisted parking, and front sensors, and the Acadia LTZ-V wants for nothing in regards to keeping the internals safe. 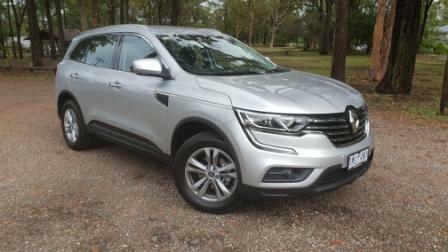 Five years or unlimited kilometres, with 5 years roadside assist if serviced at Holden dealerships. Website has a capped price quotation system. At The End Of The Drive. 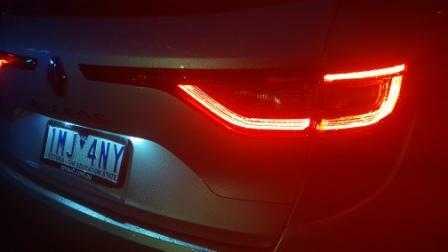 For a car that is intended to be Holden’s saviour, it falls short of lighting the candle. Having an interior plastics look that is outweighed by entry level cars half its price, no diesel, a lack of genuine tech appeal, a softish ride that may not be to the liking of potential buyers and a rear cargo that simply doesn’t look as wide as Holden’s other seven seater (which comes with a diesel and is therefore more suitable for purpose), plus an exterior unrelated to anything else in the family, means the 2019 Holden Acadia LTZ-V has a very sharp stick with which to push stuff uphill. It does nothing bad, but it simply does nothing special. Here is where you can find out more. Should You Buy Your Teen A Safe Car? I recently came across a couple of articles that had been inspired by some research put out by the British Medical Journal’s Injury Prevention* . This research looked at the type, size and style of cars driven by teenagers who were killed in car accidents over 2008–2012, and ended with a recommendation that “Parents should consider safety when choosing vehicles for their teenagers.” Automotive bloggers seemed to break out with the advice that parents should buy cars for their teenagers that had absolutely every safety feature, active and passive, under the sun. Now, I am the parent of teenagers and young adults, both of whom drive. I know that heartwrenching feeling when you know that your beloved son or daughter is heading out solo onto the roads, where horrible things can happen. I’ve also had two of those phone calls that begin “Hi Mum, I’m all right but the car…” (In both these cases, the car in question was owned by the teenager in question.) I would be the last person to be reckless and to advocate putting your teenager in a tinny little piece of aluminium. Nevertheless, I’ve got one or two issues with those articles that other automotive bloggers have put out. First of all, let’s look at that assumption that the parents are going to buy the car for the teenager – and the best thing is that you buy them one of the latest models with all the gadgets. My reaction to this was “What?” I don’t know what circles you move in, but even among the more well-heeled of my friends and acquaintances, very few of them, if any, are going to go out and plonk down a sum with five digits for a brand new SUV that will have the teenager’s name on the ownership papers although Mum and Dad are the ones forking out. Do people actually do that? Society is seeing a few problems coming from young adults entering the workforce with the idea that they can get the latest, best and most expensive without having to work for it, also known as an entitlement mentality. My teenagers won’t and didn’t get something expensive of their very own without having to work for it and pay for it. This was my first issue with a lot of those other articles out there. The car in question is ours, not the teenagers’. Use of the car is a privilege, not a right. With privilege comes responsibility, such as keeping to the conditions of your provisional licence and paying for your own fuel. Other families might like to add other things to this speech if following this course of action, such as expectations regarding running errands. You don’t want your teenager to turn out a spoilt brat who expects everything to be handed to him/her on a plate, so this sort of set-up is necessary. Even if you are paying for the car for your teenager or young adult, they should contribute in some way so that they understand the value of that vehicle and treat it with respect (especially in the matter of things like servicing, changing the oil, etc.). There will, of course, come the time when your teenager or young adult wants a car of their very own with their names on the papers. Exactly what happens here will depend on your individual family and your circumstances. 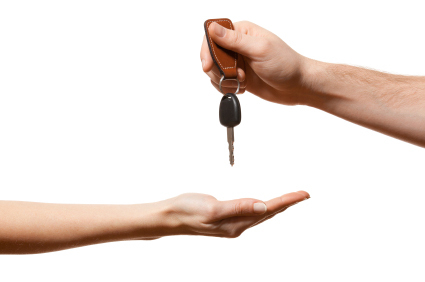 Some parents buy the new car for their teen or young adult outright – usually something second-hand. Others provide the funds for said car from the First National Bank of Mum and Dad with no interest. Others leave their teen or young adult to make his or her own way, which is what my parents did. I used bike, foot and public transport all through my tertiary education years, then once I was out in the big wide world of work, I took care of my own transportation needs. If your teen or young adult (there really needs to be a word for your sons and daughters when they reach this stage of life – let’s refer to them as “young drivers”) is buying his or her own vehicle, it is very likely that this will not be one of the newest vehicles on the market for the simple reason that on the salary that one gets when leaving home and entering the workforce isn’t going to be enough to handle the repayments. This leads to my second problem with those articles that recommend that parents buy a car with all the active and passive safety gear for their teenagers. You see, during the early years of driving, you’re developing habits that might stick with you for life or at least a very long time. If your car has blind spot monitoring, your young driver might get a bit slack about doing a head-check to make sure nothing’s in the blind spot. If the car has front and rear parking sensors or cameras, your young driver might rely on these completely for parallel parking and not know how to do this manoeuvre relying on just the mirrors (double this in the case of parking assistance). If your young driver learns how to drive on a car that “does it all for you”, then what’s going to happen when he or she purchases their own vehicle that doesn’t have said features? Your young driver won’t know how to drive without all the aids, and that really is an accident waiting for happen and, in the long run, is more of a hazard. So what’s a concerned parent to do? How do you help your young driver not only stay safe but also learn how to be a good and skilful driver? Let’s take a look at the original research again. This research found that the majority of teenagers in question who were fatally injured were driving smaller cars – little hatchbacks. Now, let’s face some facts: firstly, younger drivers are more likely to crash than older, more experienced ones (that’s biology and psychology); second, in a collision, a smaller car is going to come off worse than a larger one (that’s physics). Straight away, this lets you know that if you’re helping your young driver choose a car in any way, from buying it outright to merely offering advice, then steering your teenager towards a larger vehicle such as an SUV, ute or stationwagon is a safer option. There are the issues of fuel costs to consider, but there are some frugal SUVs out there. The other thing that the research article found was that the teenagers who were killed on the roads tended to be driving vehicles that didn’t have certain features: ESC (stability control), airbags (especially side airbags) and side impact protection. No mention of blind spot monitoring, cameras, autonomous braking or lane keeping assistance. Just basic safety features that you’ll find in most vehicles from before 2006. Even marques that aim for straightforward simplicity such as Great Wall have these. And that’s a relief in several ways. It’s good to know that it’s not that hard to ensure that your young driver is behind the wheel of something safe – something safe comes in the form of a vehicle that’s sizeable and has basic safety features such as ESC, side impact protection and airbags. And it’s really not hard to find a vehicle like this. It’s also good to know that putting your young driver into a safe vehicle doesn’t end up producing long-term problems with drivers who haven’t learned how to drive without assistance but who own cars that don’t provide that assistance. Of course, if you are not quite in the “parents of teenagers” stage but the years of having a learner driver in the family are looming, then maybe it’s time that you looked at your family vehicle and possibly upgraded to a nice new car (that will have your name on it!) so that you’re ready for those years. *McCartt AT, Teoh ER. Type, size and age of vehicles driven by teenage drivers killed in crashes during 2008–2012. Injury Prevention 2015;21:133–136. 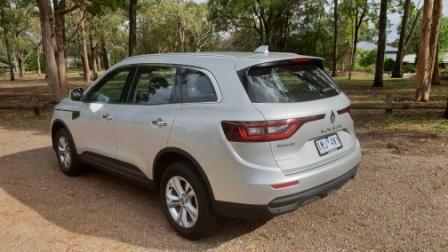 Renault’s push to gain more market share in Australia is working well if the 2019 Renault Koleos Life is any standard to judge by. Model shared with Nissan (the X-Trail), the Life is the entry level model of the Koleos range. Renault have sharpened the pencil and it’s available at a driveaway cost of $29,990. Power comes from a 2.5L petrol engine which is mated to a CVT, or Constant Variable Transmission. Peak power of 126kW comes in at 6000rpm, with peak torque on tap at 4400rpm. There are 226 torques to play with and most of them don’t come out to play until around 3000rpm. The CVT is an old school style in that it feels like a slipping clutch on a manual gearbox under full load. The tacho swings around to the 4000rpm mark before easing off. Freeway speeds sees the tacho at around the 2200rpm mark. It’s also old school in that there aren’t any pre-programmed steps for manual shifting. This also means no paddle shifts on the steering column. 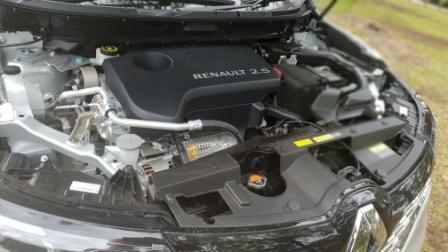 Renault quotes 8.1L per 100km for the 1552kg front wheel drive Koleos Life from the 60L tank. 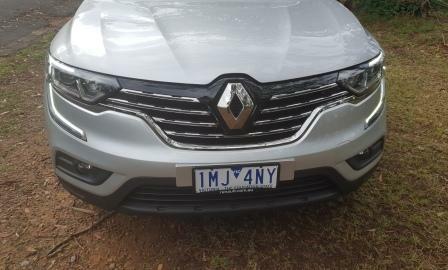 AWT saw an average of 10.1L/100km in a purely urban drive and that near enough matches Renault’s figure of 10.4L/100km. It’s fair to say that a good portion of that consumption would come from the acceleration part of the drive as the Koleos needs a reasonably heavy right foot if any rapidity for forward motion is needed. Although CVTs do tend to work best with low torque engines, in the Life it works against the engine’s characteristics by not having the “steps” more commonly found now. Where the Koleos picks up bonus points is in the ride and handling. It’s got a sweet tune to the suspension with a suppleness and confidence to the ride rarely felt in this kind of vehicle. It’s a composed setup at worst, a delight to be in at best. Rebound is controlled quickly, road intrusions are damped rapidly, and sits flat on most types of surface. The steering rack is fast in the initial twirl, but there is a sense of numbness in between. It’s light and perhaps over-assisted to boot. As a driving package, it’s not quite the whole being bigger than the sum of its parts, but it’s also not far off that. Cornering is a doddle, again thanks to the steering, and it sits nicely as it does so. The 225/65/17 rubber from Kumho contributes to the comfort and handling. The exterior is smooth, with plenty of curves front and rear. It’s a pretty car, if such a thing can be said about a mid-sized SUV. The signature part of the Koleos is the swooping LED line around each corner of the upper front end, starting with the top of the headlights, that slides down into the lower corners. 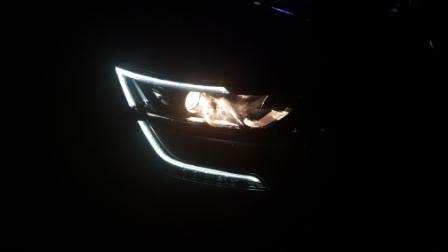 The indicators are LEDs and are integrated into the overall design. It’s a stylish look, visually effective, and is an ideal counterpoint to the similar curvature designed into the rear. It’s a non-powered tailgate in the Life, not unexpectedly, but it’s an easy lift and exposes a 458L boot (seats up). That has an increase to 1690L once the seats are folded, and with a 770mm sill lift, isn’t the most difficult place to get a load into. Seating is comfortable to a fault, there is plenty of space for four, five at a pinch, and the plastics, although not soft touch, look good. It’s a “proper” key start, not a wireless fob, and unusually it’s a foot operated parking brake, an anachronism nowadays. What’s also a standout, and not always necessarily in a positive way, is where Renault place items such as audio controls and cruise control buttons. Where some companies have a stalk behind the steering wheel for cruise control, Renault has a similarly designed and placed stalk for the audio. And where some may have cruise control buttons on the steering wheel arms, Renault place the on/off switches in the centre console. The driver’s dash itself is a simple and elegant affair. A centrally placed full colour LCD screen is bracketed by two almost semi-circle dials showing temperature and fuel, whilst inside on the LCD csreen is an understated display option, with the drive modes to the left and variable info to the right. The centre stack is dominated by a large touchscreen with one interesting feature. 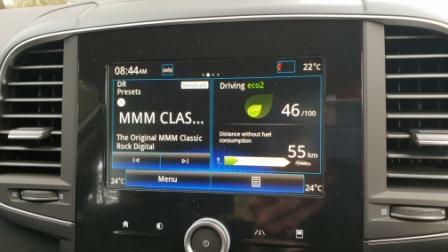 Renault has programmed in a Distance Without Fuel Consumption display, a unique idea indeed. The overall design is balanced, uncluttered, and user friendly. Safety at this entry level is decent. A full suite starts the party, with the mandated braking and traction systems on board backed up by the Advanced Emergency Braking System. The Life misses out on front sensors but does get rear sensors. 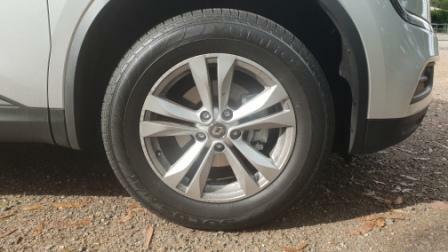 Tyre Pressure Monitoring is standard across the four level Koleos range. Life dips out on Blind Spot Warning however does get Forward Collision Warning and Lane Departure Warning. It does get a five star safety rating in the EuroNCAP ratings system. Warranty is five years and is backed by capped price serving, which gives Renault owners four years of 24/7 roadside assistance if Renault services the car. Although sharing some basics with its Nissan sibling, the Koleos can be considered to be a more appealing vehicle in the looks department, and would need to be driven directly against the X-Trail to fairly compare the ride and handling. Having said that it definitely is a cushy ride and a responsive handler. At at a driveaway price of the $30K the Life is a great starting point. You can find out more here. 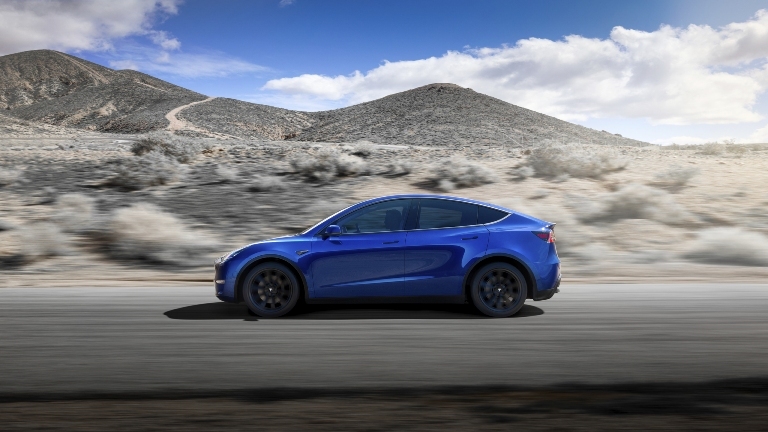 Infrastructure is expanding, understanding of the technology is increasing, and more brands are getting into the electric car field. Once renowned for sports cars and luxury cars, Jaguar is one of those companies. Their new i-Pace has recently been named Top Gear Magazine’s Electric Vehicle of the year, with the car racking up 19 awards in 2018. It’s powered by a pair of bespoke electric engines that develop 400 horsepower and 696Nm of torque. 0-100 time is 4.5 seconds thanks to its all wheel drive and lightweight architecture. Getting the car underway with a drained battery takes just 40 minutes to an 80% charge level at a charging station, or, like virtually all buyers would do, a home charger will do that overnight. Expected range is 470 kilometres, enough to travel from Sydney to Canberra comfortably and take advantage of the charging stations there. Available in Australia from $119,000 plus on roads, the i-Pace will also have the Touch Pro Duo infotainment system, capable of over-the-air software updates, and uses artificial intelligence to adapt to a driver’s personal preferences, ensuring driving and infotainment settings are matched to each individual using the car. 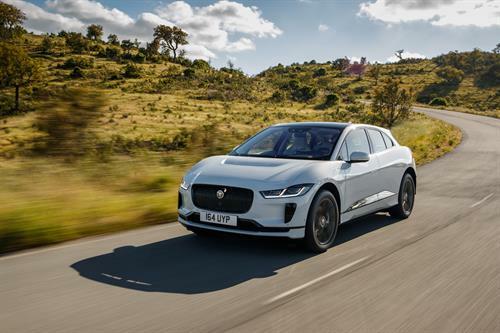 The legendary Ian Callum, Jaguar’s Director of Design, said: “We’re delighted to see the I-PACE named EV of the Year by BBC TopGear Magazine. Contact Jaguar for more details here. Toyota Hybridises The RAV4 And Ditches Diesel. Toyota‘s RAV4 has been given a hefty whack with the overhaul stick. 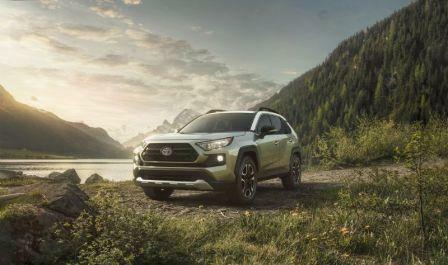 A hybrid drivetrain, new AWD systems, and a revamp of the exterior, will see the 2019 RAV4 head twoards the third decade of the 21st century with the same verve it brought when first launched a quarter of a century ago. Currently scheduled to hit Aussie showroom floors in the second quarter of 2019, the Recreational Active Vehicle 4 wheel drive will have both hybrid and non-hybrid drivetrains, new engines, and a new eight speed auto. Engine capacities will be either 2.0L or 2.5L, with the smaller engine producing 127kW and 203Nm. Pick the bigger donk and there is 152kW and 243Nm. The hybrid package is slated to produce 155kW and a as yet unannounced amount of torque. The battery system will be located under the rear seat so no loss of storage space will occur. However, there will be no diesel engine to be made available as Toyota moves across to a hybrid SUV future. A CVT or “intelligent” six speed manual can be selected for the smaller engine, with the manual said to be able to rev match in order to assist in economy and smoother shifts.The non-hybrid 2.5L is the one that will bolt to the eight speed auto. A lower ratio first gear not dissimilar to that fitted to the hybrid Corolla’s transmission assists in getting the vehicle up and running. This engine and transmission combination will have a mechanical AWD system, with the same size engine and hybrid receiving an electrical AWD setup. It’s smaller, lighter, and more energy efficient that a mechanical system, and coupled with a generator attached to the rear axle with a specific drive ration, will generate more torque at the rear for better driveability. Up to 80% of the torque generated can be rearward directed. Torque vectoring also comes in and looks to be specific for the 2.5L and mechanical system. This will not only direct up to 50% of torque to the rear but will, as deemed necessary, split torque between the rear left and rear right wheel. If the onboard sensors feel that all is good, then torque and power is primarily aimed towards the front. 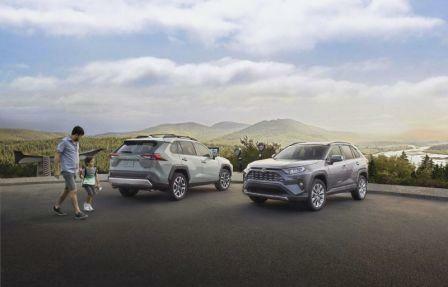 Sean Hanley, Toyota Australia’s vice president sales and marketing, said the new drivelines and AWD systems will add to the RAV4’s spirit of adventure and driving pleasure by delivering enhanced performance, capability and control. Extra driving goodness comes from AIM. The AWD Integrated Management automatically adjusts vital vehicle systems, according to the drive mode selected, steering assist, brake and throttle control, shift pattern and drive torque distribution. There’s Eco, Normal, and Sport modes to choose from, with Eco backing off the torque for fuel efficiency. Sport changes the steering assistance level, the throttle control, and the distribution of torque. Inside the mechanical AWD RAV4 will be a drive mode switch for different terrains; mud and sand, or rock and dirt, can be selected for easy going soft-roading. Go to the hybrid version and Toyota will fit an automatic Limited Slip Differential, which can be activated via a toggle in the cabin, for difficult driving circumstances. All of this will be packaged in a new body, with final sign-off for Australia yet to be confirmed as which style. Contact your local Toyota dealer to register your intert. BMW is not a brand that does things by halves. Rather than putting a toe in the water, the iconic German brand jumps in. 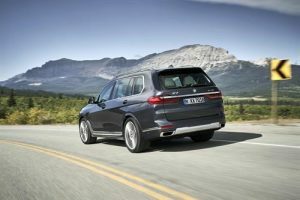 In the passenger vehicle segment it’s “lacked” one entrant and that has now been resolved with the release of the X7 range. It’ll go up against the Volvo XC90, Audi’s Q7, Porsche’s Cayenne, and VW’s Touareg. BMW also don’t tag this 5151mm long machine as an SUV. It’s a SAV, a Sports Activity Vehicle. 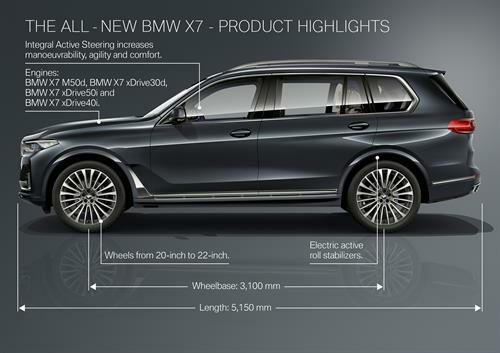 The X7 will offer a choice of six or seven seats, with the third row a confirmed two seat configuration. That third row will have cup holders, separate USB points, and armrests. The middle row can be specified with two or three seats, and all seats are power adjustable. Sitting on a wheelbase of 3105mm, the X7 offers a cargo capacity variance of between 326L to 2120L. 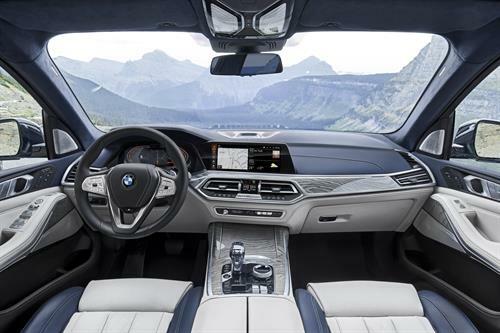 To take advantage of the space available, the X7 goes on a luxury cruise with Vernasca leather as standard, four zone climate control, a three part panoramic roof, and a high end ambient light system. 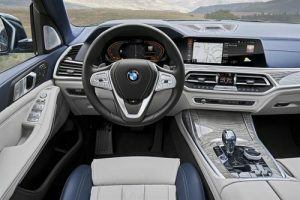 BMW never skimps on the option list either, with a five zone climate control system, a Bowers and Wilkins Diamond Select audio system, an an entertainment system for the rear seat passengers. BMW’s M Sport package and the Design Pure Excellence equipment line are also offered. Choosing an engine won’t be hard. 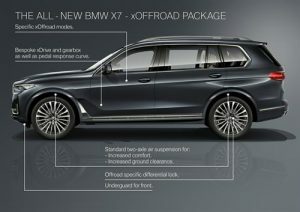 At launch a a 340 kW/462 hp petrol V8 in the BMW X7 xDrive50i will be available although not available in Europe. 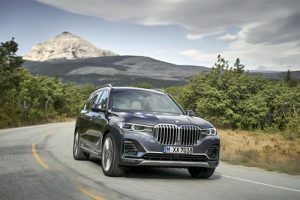 The xDrive40i will receive a six-cylinder in-line petrol unit with an output of 250 kW/340 hp and a rated combined fuel consumption at 9.0 – 8.7 l/100 km. 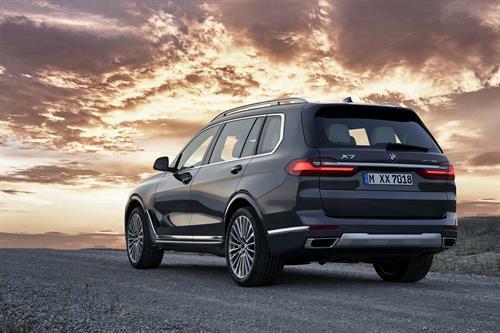 The X7 xDrive 30d will be powered by a pair of six-cylinder in-line diesels with outputs of 195 kW/265 hp. Fuel consumption for a combined cycle is rated at 6.8 – 6.5 l/100 km with CO2 emissions combined: 178 – 171 g/km) and 294 kW/400 hp in the BMW X7 M50d. The quoted fuel consumption on the combined cycle is 7.4 – 7.0 l/100 km with CO2 emissions combined: 193 – 185 g/km). All of the power units in the line-up meet the requirements of the Euro 6d-TEMP emissions standard. Every powerplant will be bolted to an eight-speed Steptronic transmission. The BMW xDrive intelligent all wheel drive system, complete with optimised efficiency and rear-biased set-up, is how the power and torque gets to tarmac or dirt. Ensuring even more dynamic handling is the M Sport differential at the rear axle, which brings electronically controlled locking. It is fitted as standard on the BMW X7 M50d and as an option on the BMW X7 xDrive50i and BMW X7 xDrive40i. The chassis tech is typical high end BMW. There’s Adaptive Suspension and electronically controlled dampers, air fed springs and an adjustable ride height of up to 80mm. Extra suspension ability can be optioned, such as Integral Active Steering, and the Executive Drive Pro system. An off road option package can be specced for all models bar the M50D. A four mode drive system includes xSands, xGravel, xRocks, and xSnow. The selection of each mode has the X7 adjust automatically for ride height, transmission response, and the stability control systems. Active Cruise Control with Stop/Start is standard however BMW offers the Driving Assistant Professional package that features steering and lane control assistance, Lane Change Warning and Lance Departure Assistance, and even a side collision warning system. Traffic assistance comes in the form of wrong way alert, cross traffic warning and BMW’s priority warning system. The driver has two 12.3 inch full colour digital screens with which to work with. 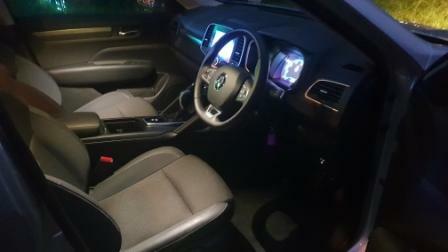 There’s a binnacle display and a control display in the centre upper dash with the pair being called by BMW the Live Cockpit Professional system. An Intelligent Personal Assistant is voice activated and software can be updated remotely. Finally, BMW stamp their authority on the luxury SAV segment with an imposing exterior design. With a width of 2000m and a height of 1805mm, the X& is one of the bigger types of its segment. The traditional kidney grille design is even more imposing and is flanked by a pair of full LED lit headlights. Optionable Laserlight headlights can illuminate at a range of up to 600 metres on high beam. A two section tailgate is flanked by stylish LED powered lights. Contact your local BMW dealer for more information.